Mothers across the world are all connected. Not because of income, culture, race, religion or daily experience. But because all mothers share a deep desire for the absolute best for their children, starting with survival. The safe birth of every healthy baby in Haiti is cause for celebration, never something taken for granted. 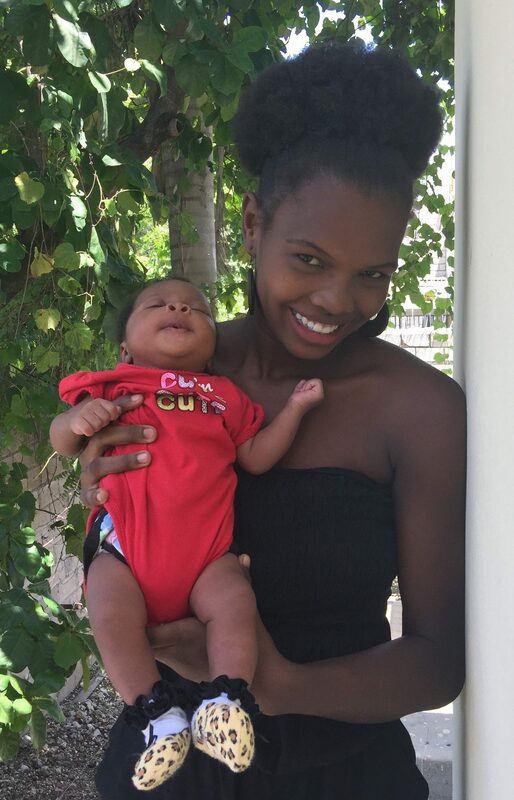 We recently had a three baby day at the Heartline Maternity Center. This happens a few times a year and is always thrilling and exhausting. We were overjoyed that on this particular day, Murielle, Gina, and Rosetanie all safely welcomed their little ones to the world. Babies arrive when babies choose to arrive. Try as we might to have an orderly and predictive system, babies come when they are ready and often at unexpected times. In a perfect and controlled world, we would have two deliveries per week – one on Monday around noon and maybe another on Wednesday evening. The women in labor would arrive in a controlled and systematic fashion, preferably during daylight hours, and we would check off the deliveries one by one with a day or two of rest in between. The actual world rarely functions like that. Sometimes it rains babies. When the Maternity Center is hopping with laboring and delivering moms, I am especially grateful for the exceptional team of midwives and nurses we have in place. 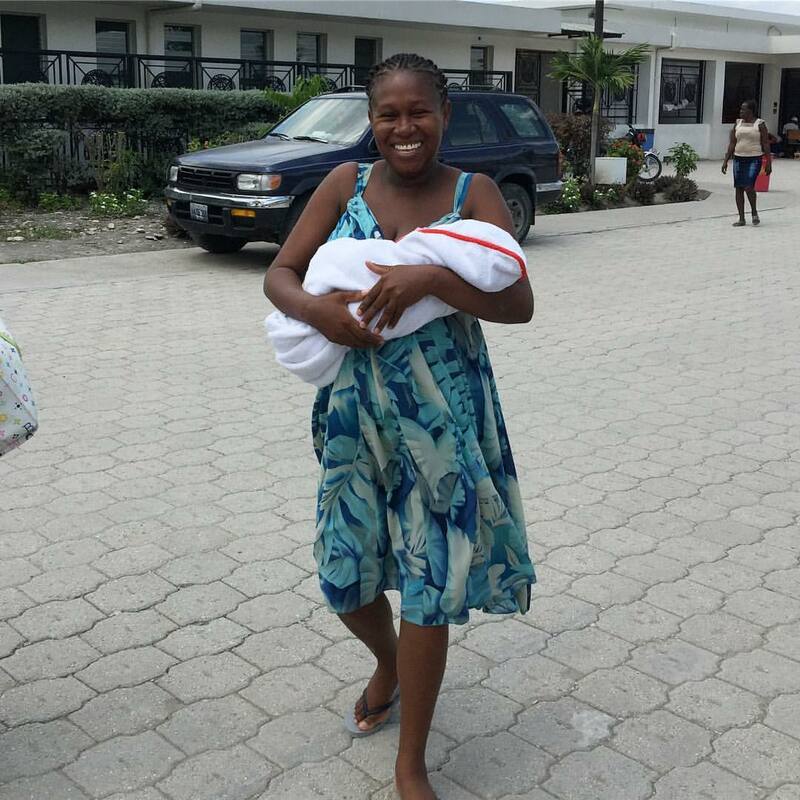 On this day, after all the postpartum moms and babies had left having enjoyed a child development class and one another’s company, we checked on Murielle before turning her over to be cared for by the night nurse. 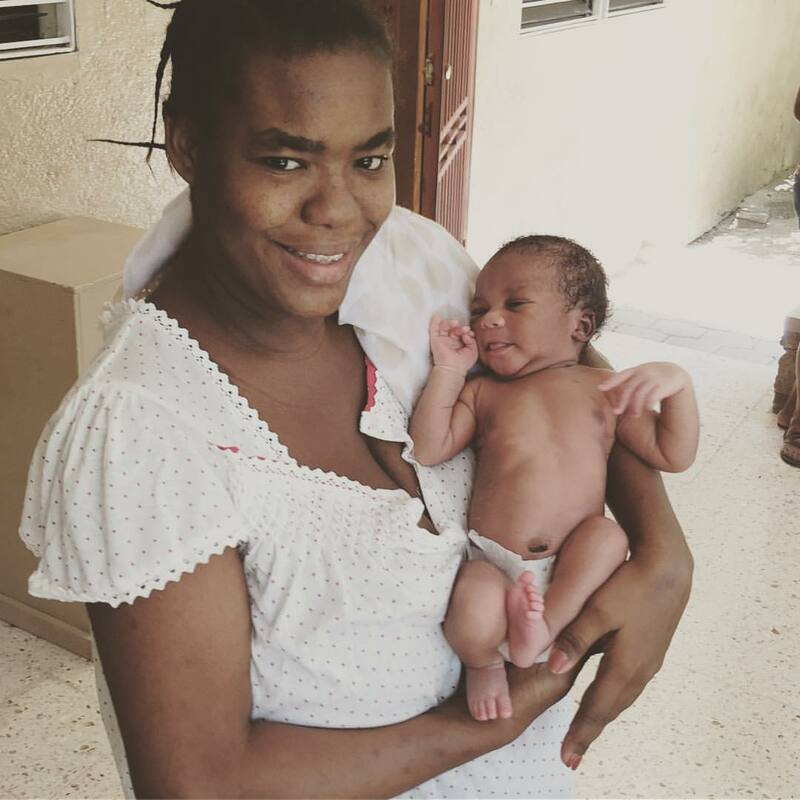 Murilelle came to live at the Maternity Center at 36 weeks due to high blood pressure and her need for bedrest. She had previous trauma when her baby died during delivery, and her nervousness about delivery was no secret to any of us. We watched and waited in prayer for a healthy, easy delivery. Around 4pm, Gina came to the Maternity Center already in active labor. Upon seeing Gina in labor, Murielle burst into tears. Her patience was waning after having seen a number of women deliver babies while she remained on bedrest. She longed to deliver a healthy baby. Gina labored well, somehow managing to smile and be pleasant even in labor and transition. By midnight she was 8 cm and getting close to delivery. We worked to have contractions in several different positions to try and reach our magic number of 10 cm. I was working with Gina a few moments after midnight when my fellow midwife, Mica came to me and said, “Tara, I think Murielle should be checked. She seems to be in pain.” I asked Mica to please check Murielle and confirm her suspicions. Sure enough, Mica reported that Murielle was already 9cm. She had not let on to us that she had been in any pain. Within a few minutes, midwives Beth Johnson and Beth McHoul were woken up and asked to come. It appeared that both Gina and Murielle were going to have babies within an hour or two. Murielle took the lead and delivered her son, Andrew around 2am. The other midwives were all present and attending to that birth. At 4am, I began to worry about Gina’s lack of progress since she remained at 8 cm. Soon after, Gina developed a fever and we decided to transport her to a hospital due to probable infection and failure to progress. We loaded the ambulance for the long drive out to the most trustworthy hospital, which is an hour and a half away without traffic. We arrived around sunrise and the hospital took Gina right in. They agreed a C section was likely needed and prepped Gina for her delivery. She had her son, Jean via C section around 10am. Later that day, Rosetanie walked into the Maternity Center in obvious pain. She was in active labor with her first baby. Rosetanie had one scare around her 22nd week of pregnancy when we thought she might be having premature labor. We were grateful to see her in active labor at 39 weeks. She labored quickly for a first time mom and was ready to push by 8pm. Within an hour she welcomed her daughter Richelle, the third baby of the day. Two days later we picked Gina up from the hospital and all three moms and babies that share a birthday got to rest together in the postpartum wing of the Maternity Center for several days before heading home. 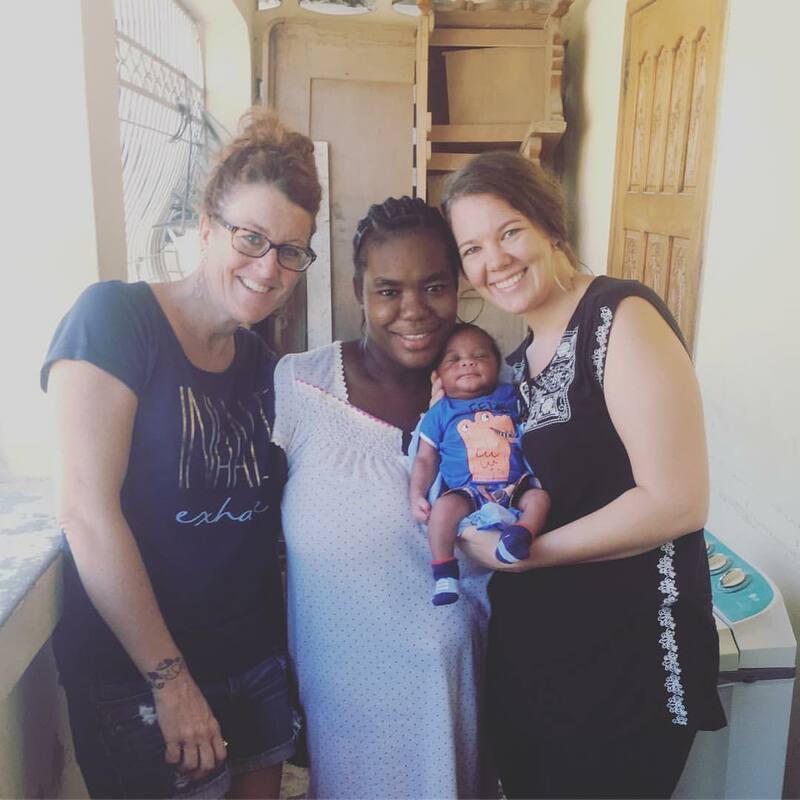 Murielle, Gina, and Rosetanie came to the Heartline Maternity Center because they wanted to survive childbirth and wanted their babies to survive too. We are grateful to God for the healthy birth outcomes for these moms and babies on a day with tripled joy. This Mother’s Day, I invite you to celebrate your mom – and all women leading and nurturing the next generation – with a gift that makes a real difference in Haiti; an actual lifesaving difference in many cases.